Have you ever aspired to be your own boss? Perhaps maybe even owning your own sports team? Well now is your chance (sort of). 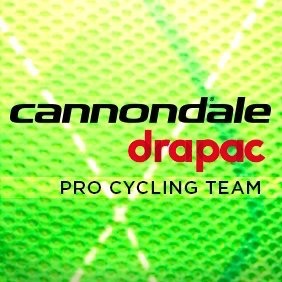 Slipstream Sports, the company who manages the Cannondale-Drapac pro-cycling team, recently received some bad news in that a new sponsor they had line for for 2018 wasn’t going to fulfill their commitment. This left the team with a $7 million shortfall and the possibility of not being able to continue next year. Now if you’ve got a spare $7mil laying around, feel free to give Jonathan Vaughters a call, but I’m guessing most of my readers don’t but read on to see how you can help support the team. When the news broke about the sponsorship deal sinking and the shortfall of money there was an outcry of supporters with many suggesting to try and raise the money via crowd funding. Management was blown away by the support and they put the feelers out to see if it was a viable option and with that a sponsor stepped up (the Fairly Group) and said they would match any crowd sourced donations up to $2 million. So that is where you all come in. Click the link below which will take you to their #SaveArgyle Indiegogo page where you can make your donation. There are a bunch of different levels to donate at, anything from $25 up to $50,000 and each level comes with it’s own “perks” whether it be a coffee mug, team kit, frame stickers, a ride with the team, a team bike all the way up to being able to ride in the team car. All very cool indeed. So if you are so inclined, please help support one of the hottest teams in cycling right now. They are on a tear this year with their pinnacle achievement being Rigoberto Urán finishing second in the closest Tour de France finishes of recent years. It would be a shame, actually a complete disappointment, not to have this team competing in the World Tour next year. Join me in helping this American team secure their future and enable them to continue to race in 2018.